Let’s face it; an installed base, a trained maintenance crew, and an established set of procedures all make it really difficult to try to implement any new technologies in a running manufacturing facility. The idea of an industrial network providing detailed data about your processes and improving productivity sounds interesting and valuable, but where do you begin? Retrofitting everything with the newest technology isn’t an option in today’s economy, the capital investment is just too great. But there is hope! 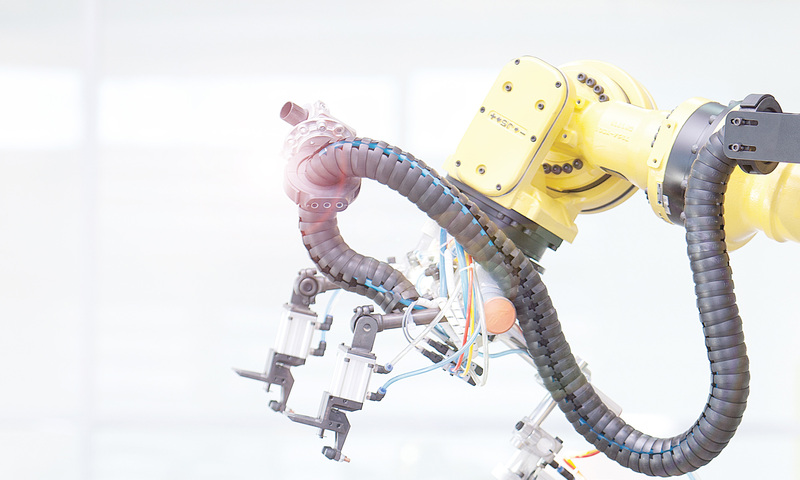 And with small steps, time and training, any plant can move forward into the ethernet realm and beyond. Step One: Figure out where you are! Look at the below image. I like to call this my I/O Evolution Diagram. These are evolutionary ages, just like the classic monkey to man image you see, or the Lego evolution at the top. Hardwired I/O: The simplest form of sensor wiring is directly wired back to the controller, one cable at a time. Distributed I/O: The first evolutionary step and one of the easier ones to take. When moving from hardwired I/O to distributed I/O you gain faster setup/tear-down and shorter cable runs and everything becomes moderately easier to troubleshoot. Networked I/O: A harder step to take, but a quite valuable step. When transitioning from distributed I/O to networked I/O, you gain all of the benefits of distributed I/O plus easier setup/repair in the hardware side and easier troubleshooting from diagnostic data in the software side. Decentralized I/O: A more recent evolutionary step in I/O. Decentralized I/O utilizes a network, but allows you to connect more smart devices onto a smaller network. 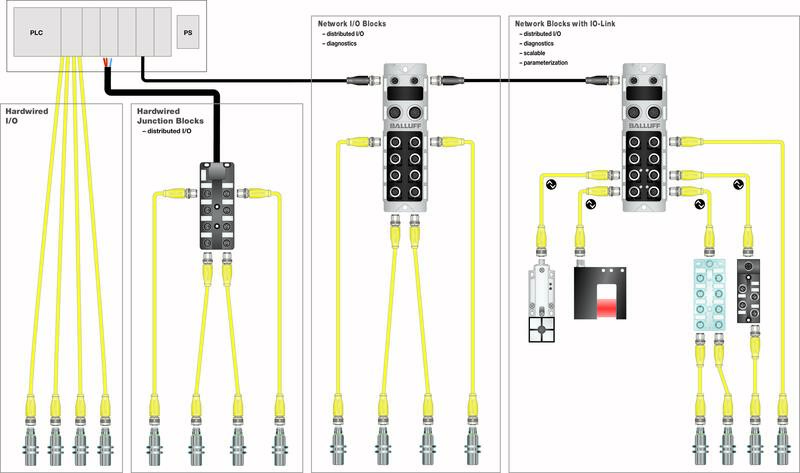 When you move from networked I/O to decentralized I/O using IO-Link you gain: more diagnostics and the ability to change parameters of smart devices on the fly. Step Two: Make an Evolution Plan! Without a plan of action rarely do things happen. Make this part of your company’s corporate success goals. Create an evolutionary plan. If you are hard wiring I/O then you need to have multiple steps in your progress to an industrial ethernet network. Discuss your roadblocks and discuss your options. Make a team of individuals invested in this program’s success: maintenance, control engineering, management, and don’t forget IT. Step Three: Make a Training Plan! I can’t stress enough that success will be easier with training for the maintenance crew, engineers and IT departments. Many product vendors offer a variety of industrial ethernet trainings. Discuss what each group will need and get them trained on supporting your I/O evolution goals. Are you interested in evolving your I/O? Where are you stuck? What are some of your roadblocks? I’d love to discuss your comments and concerns. Just remember, with small steps, time and training, any plant can move forward into the ethernet realm and beyond.